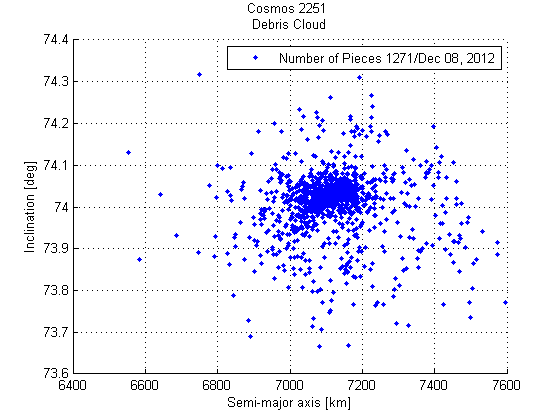 In this example we will implement the J2 Perturbation (first-order) propagator which accounts for secular variations in the orbit elements due to Earth oblateness. 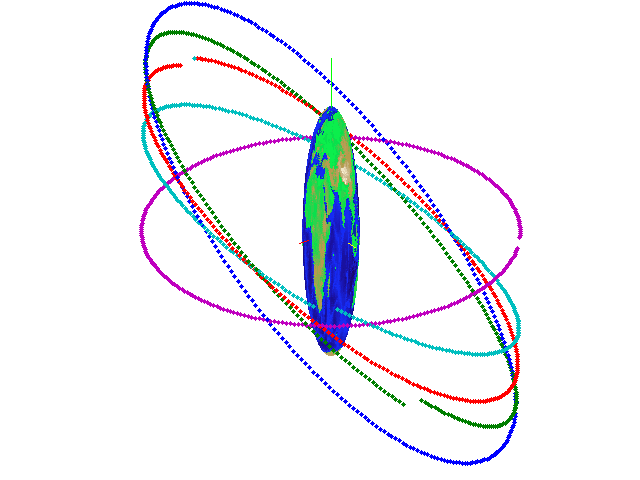 We do not consider atmospheric drag or solar or lunar gravitational forces.It uses two-line element (TLE) sets as an input. 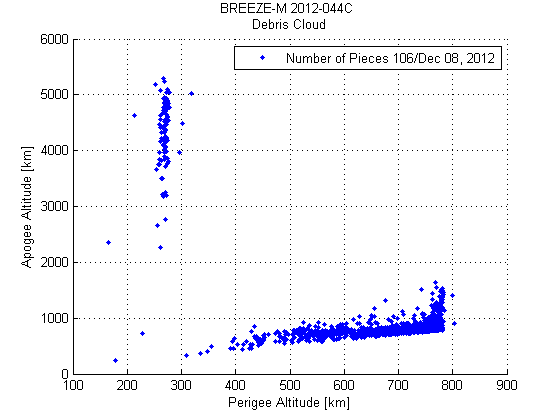 Additionally as an example we wil use the implemented propagator to plot orbits of RADUGA satellites. 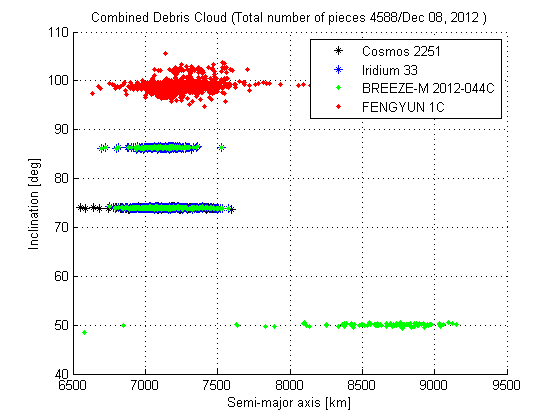 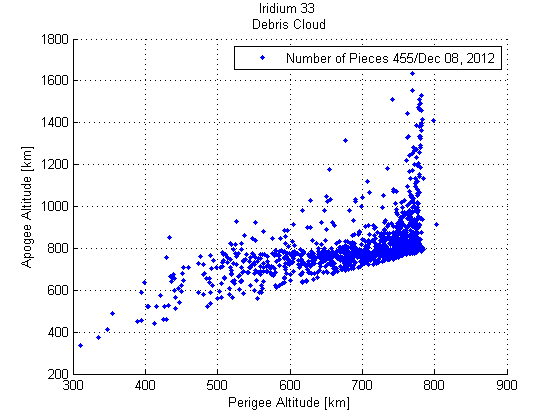 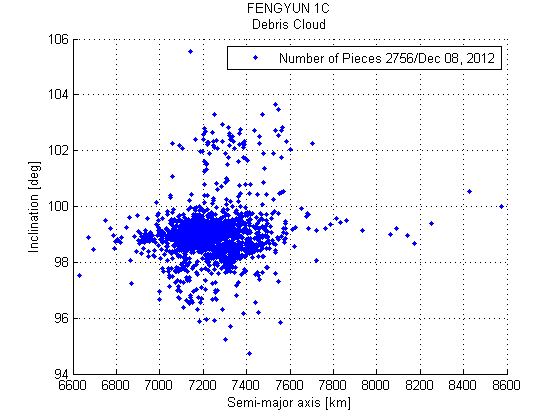 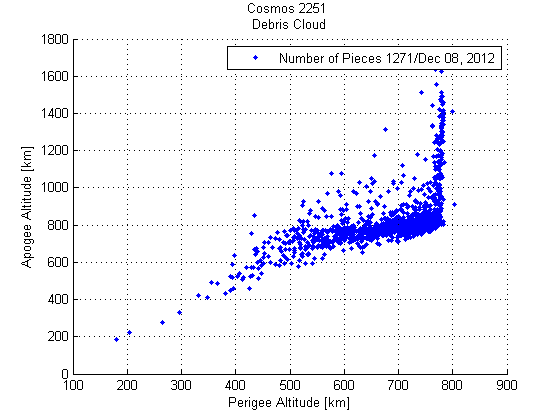 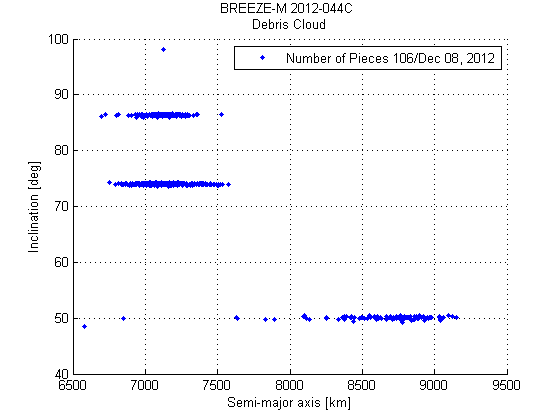 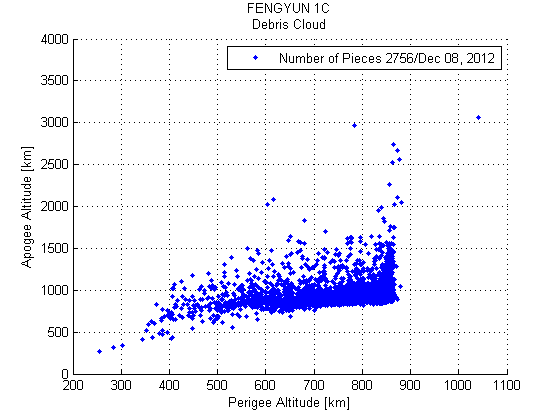 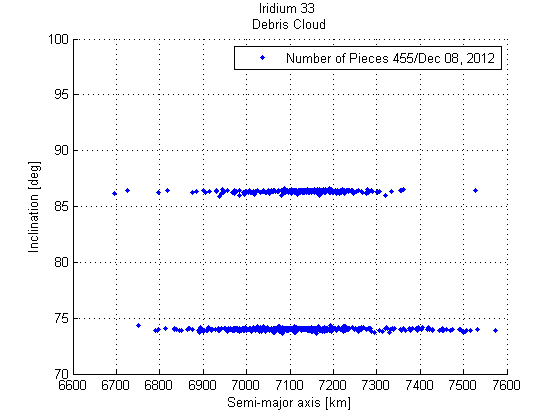 The program plots track-able space debris distribution in the orbit from three major accidents.